Dieter Schön of Germany and the crew of Momo won the World Championship of 2017 Rolex Maxi 72, which take place at Porto Cervo. 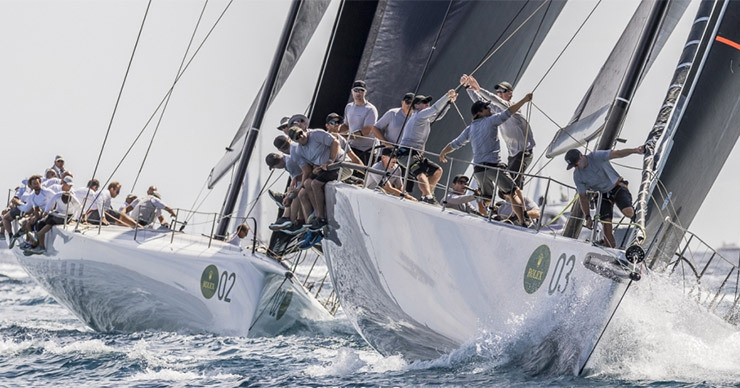 The event, run in association with the Maxi Yacht Rolex Cup, was the closest yet. Talk about the final day, Momo got the lead to 2.75 points over Cannonball of Dario Ferrari. And finally, after a couple of windward-leeward races, Schön won the championship by a point. The defending champion of the championship, Bella Mente Vice President of International Maxi Association Hap Fauth won the first race today, after one aborted start, as the wind went through 180°, coming in from the southeast. Proteus of George Sakellaris won the second race, 17 knots was picked by the wind. Mini Maxi Racer was windward-leewards the only other class to sail. In the race, Sir Peter Ogden completed perfect scoreline aboard his Vrolijk 72 Jethou. He said “The race number two was a cracker, the reason for the same was, and we had a fantastic surfing at 17-18 knots and good breeze. The officer of the race worked hard – he just had a single minute to get us off before the time limit”. On the other and all other classes took an anticlockwise sailing lap of the Maddalena archipelago. Some classes, even got away unscathed as well.